ZG develop materials and coatings to reduce corrosion and improve the life span of boiler superheater tubes exposed to high-temperature biomass exhaust. This improvement in biomass boiler efficiency will reduce fuel consumption, fuel cost, and CO2 emissions. It is benefit to German environment protection, and this type boiler are well received by German. The development of more-efficient biomass-fired boilers will produce environmental, energy security, and economic benefits while reducing the cost of fuel supplies and boiler maintenance for industry. • Biomass-fueled boilers generate steam that can be used for industrial processes, for heating and cooling, and for electricity generation. • Biomass fired boilers can be employed wherever an adequate source of biomass fuels exists. • Industries that will benefit from improved biomass-fueled boilers include the chemical, petrochemical, steel, wood and paper products, and food processing industries. Other users of biomass-fueled boilers include municipal landfills and crop and animal agricultural operations. 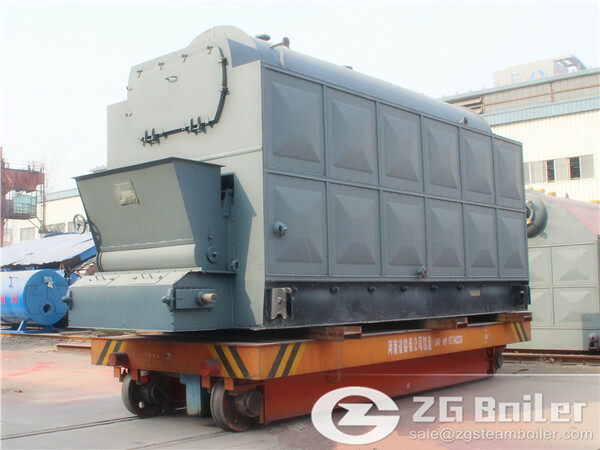 ZG industrial boilers are commonly used to make process steam, provide heating and cooling, and generate electricity in German. These boilers can use biomass fuels as an alternative to fossil fuels such as natural gas, coal, and fuel oil.